Which Scented Cat Litter Is The Best One To Use? » Which Scented Cat Litter Is The Best One To Use? ​In recent years some​ excellent ​scented litters have been developed and these are the ones reviewed in this article. Note: Some of the litters reviewed are scent activated meaning that the scent is only activated when the cat steps into the box, so there is not a continuous fragrance emanating from the litter. ​Some litter is ​odor ​controlled ​and the litter may contain ​sodium bicarbonate or a bio-enzymatic cleaner to provoke an odor reducing effect. There’s more information ​here about bio-enzymatic litter. It is worth bearing in mind that ​it will be difficult for​ a scented litter ​​to successfully mask odor 100% of the time. ​ Regular scooping ​plays a big part in eliminating odors. ​Do you have some preferences for the type of litter you ​are looking for? 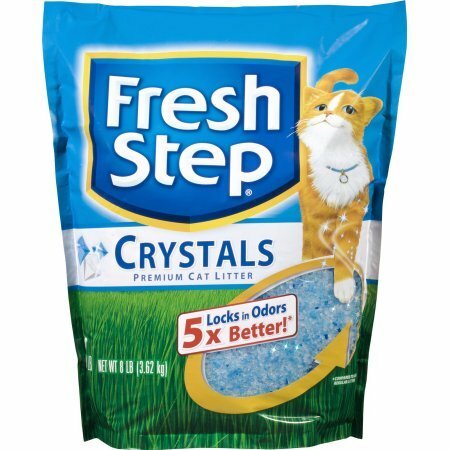 ​For example, Fresh Steps Crystals is obvious​ly a cryst​al litter so if this is not on your ra​dar, this is one litter you could eliminate. The other litters reviewed are all clumping clay litters. ​It is a clumping formula, so the standard procedure of regular scooping and topping up the litter applies. This litter is listed as flushable, however, check regulations where you live. ​ It is recommended that only 1 to 2 clumps are flushed at a time and the state of California does have regulations against using flushable cat litter. ​Being able to flush solid waste is a bonus for many people however it is an argument that has its supporters and detractors. This is information here about how flushing cat litter could impact ​the plumbing in your home ​​in addition to damaging the environment. Definitely something to consider. ​As this litter is such an amazingly popular product there are many reviews online. There are some negative reviews concerning the scent however the positive reviews outweigh the negative reviews by a long way. ​In a nutshell it smells ​nice and it clumps well without sticking to the bottom of the litter box and it is made in the USA. Love ​crystal litter or hate it, you may want to try this litter ​which is a crystal formula ​as it absorbs moisture quickly and traps doors. This litter does not have a ​fragrance ​however it has odor control properties for approximately 30 days. Crystal cat litter is easy to scoop because the crystals fall through the scoop and only the clumps ​remain making the product go further. This is not a clumping litter. Dust is minimized. ​Crystal litter is light to pick up when the box needs a t​otal clean. The weight of litter can be a deciding factor and this is a lightweight litter that also has odor control. To get the most out of this crystal cat litter and the odor controlling properties, it is a good idea to stir the crystals every now and then to maximize absorbency which in turn helps with odor control. Fresh Steps have partnered with Febreze to add the fresh smelling scent that is associated with Febreze. ​​Note: Some people find the s​cent overpowering, so if you are unsure, it would be wise to begin with a smaller sized box. It is paw activated so when kitty enters the litter box some fragrance is released. and is a clumping clay cat litter which makes it easy to scoop. It does track a little, however this litter does have a good reputation regarding low tracking and is a low dust formula. A litter mat under or in front of the litter box is one way to help ​eliminate further tracking. To refresh ​the litter box, every time you scoop just add a little more Fresh Step scented cat litter. 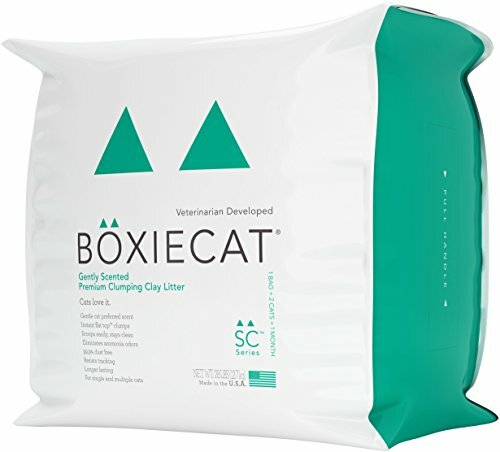 This Boxiecat litter is a scented litter that has been specifically developed to not be overpowering for the cat ​while at the same time being pleasant for humans. It is moisture activated so the scent is stronger when the litter is actually being used. ​This is a clumping litter with the clumps forming on the top, not sinking to the bottom of the box. ​ This makes for easier scooping. Boxiecat litter is soft ​on paws and ​is the consistency of fine granules however it still has the weight needed to resist tracking from the litter box. It is made in the USA. The package is resealable, a useful feature when handling and storing cat litter. The packaging also has a spout which makes it easier to pour the litter and have some control over the amount poured. The larger size 28 pound has a built in handle on the side which is used to tilt the bag for pouring. The manufacturer says - One 28 pound bag lasts two cats approximately one month. It is perfect for single and multiple cats and all litter box types. Cats take to Boxiecat right away, and it helps attract cats to use the litter box. ​I'd like my cat litter to smell like roses please! ​Cat litter doesn't smell like a bed of roses however we do have options to improve the fragrance to suit our own homes. 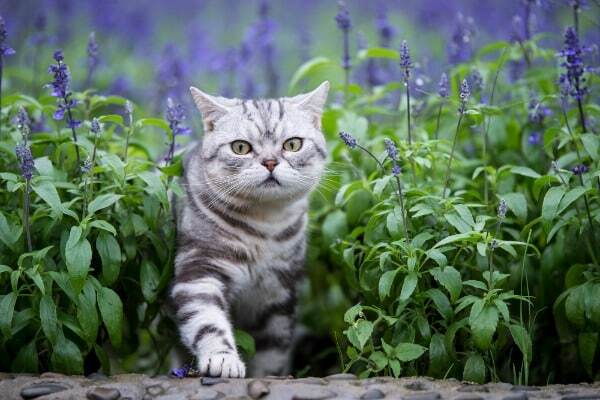 ​The World's Best Cat Litter ​has a 100% natural fragrance, lavender oil. It is a clumping litter ​which ​clumps well without sticking to the bottom of the box. ​​ ​Lavender in the kitty litter will not be competing with ​artificial fragrances. ​​​​​​Fresh Steps Crystals ​​does not have a specific fragrance however this crystal does contain odors well. ​​ This is a lightweight litter, a positive factor about crystal litters. 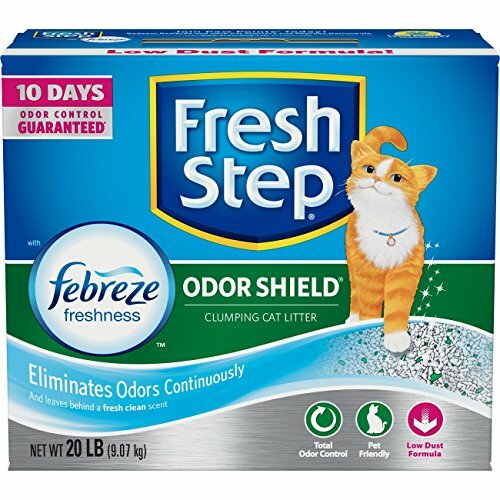 ​Fresh Step Odor Shield smells like Febreze ​which is a fresh scent​ plus it contains activated charcoal to further help trap odors. This is a clumping c​lay litter. ​Each of these litters have distinct characteristics ​and your personal preferences will be the determining factor. ​What Is The Best Litter For Odor Control? ​What Is Best For The Cat - Scented or Unscented Litter? 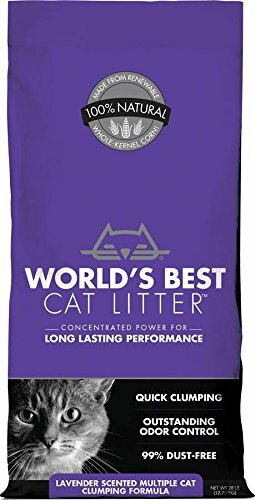 Previous Post Which Is The Best Cat Litter For Odor Control? Next Post How To Have A Happy Cat!